Well, it's taken me a while but here is part two of my focus on Irish crafters on Etsy - if you missed part one which was looking at fashion, here it is Irish Fashion Finds. Again, there was such a wealth of beautiful items, it was really hard to choose so I tried to select a mix of different things and crafters. 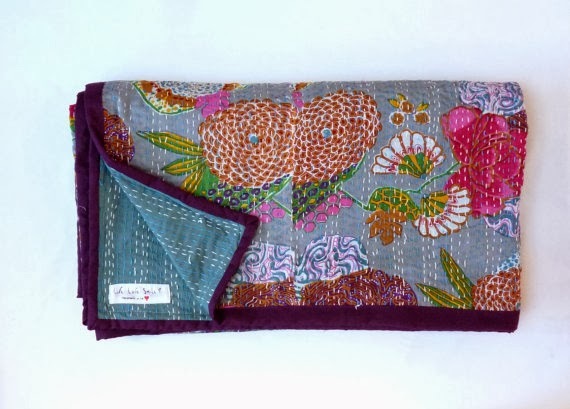 One item that really caught my eye was this gorgeous quilt from LiveLoveSmile - the colours are so vivid and rich, it would be perfect in any home, either for a splash of colour in a minimalist room, or blended with lots of other rich hues. Next I thought I'd look for some nice pottery. Ireland has a great reputation where pottery is concerned but for me, I find that shops tend to go for the safe option and I only ever really see the big names. Personally I prefer pottery that's a little bit quirky and fresh and it only takes a little searching to find some amazing talent from all over Ireland. These gorgeous little cups are just the kind of thing I like, simple and bright, with delicate colour tones and each one is unique. They are available from CniCeramics, based in Limerick. 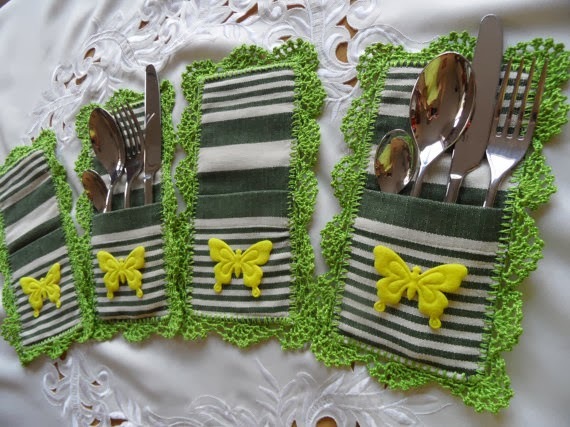 I was well into my search before I spotted these Cutlery Pockets but I'm so glad I didn't miss them, I think they're adorable and there are other options to choose from on Beadsnbrooches. 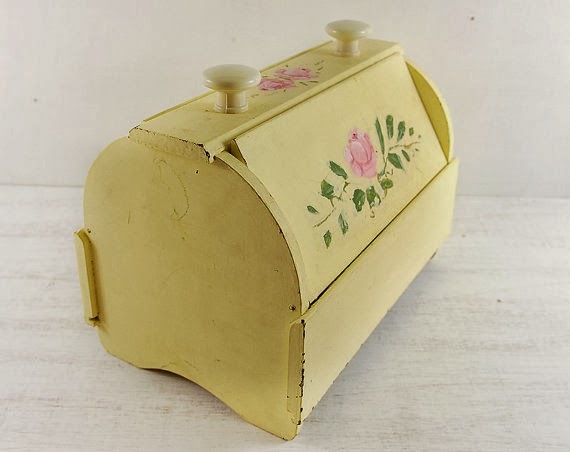 Next I chose a vintage item - A vintage handpainted wooden box, so pretty! I love the primrose yellow colour and the shabby chic style. Have a look at the Carraigmore shop for this and lots of other vintage finds. Finally featured in the blog is CraftyIsland, with a selection of wooden products, often from reclaimed materials, they have a soft natural look that really appealed to me. 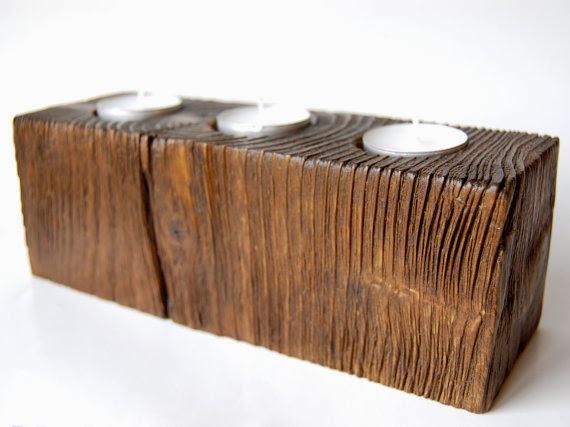 The Wooden Tea Light Holder has a really rustic look, very simple yet elegant. 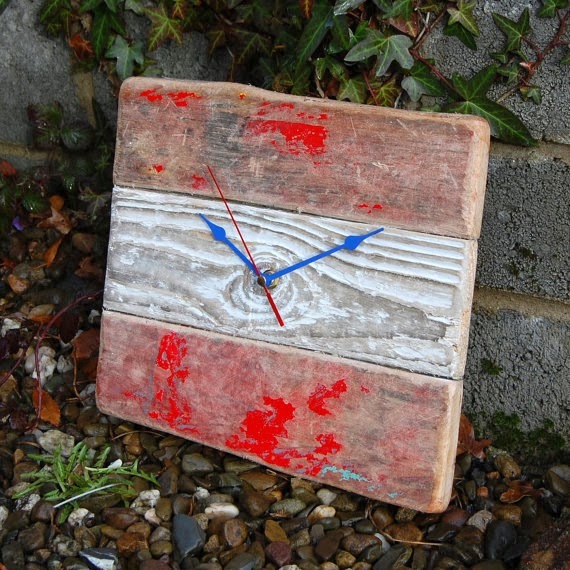 The Driftwood Wall Clock is gorgeous, made from driftwood found at Doonbeg beach. I hope you like the items featured, my full treasury can be seen here on Etsy - Irish Style Home and don't forget to check out my own shop where I am still running my free shipping on tin candles offer, just until the end of February, so don't miss out!